This is the most recent project by the non-profit organization Make Life Skate Life. 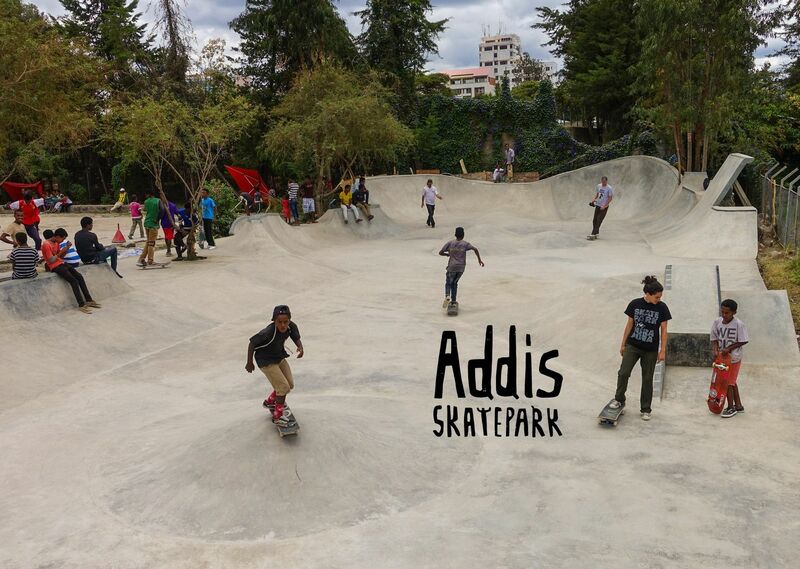 With a team of over 60 volunteer skatepark builders from more than 20 countries, Addis skatepark, the very first and only free-of-charge skatepark in Ethiopia, saw the light of day. This is what we’d like to call making the world a better place! 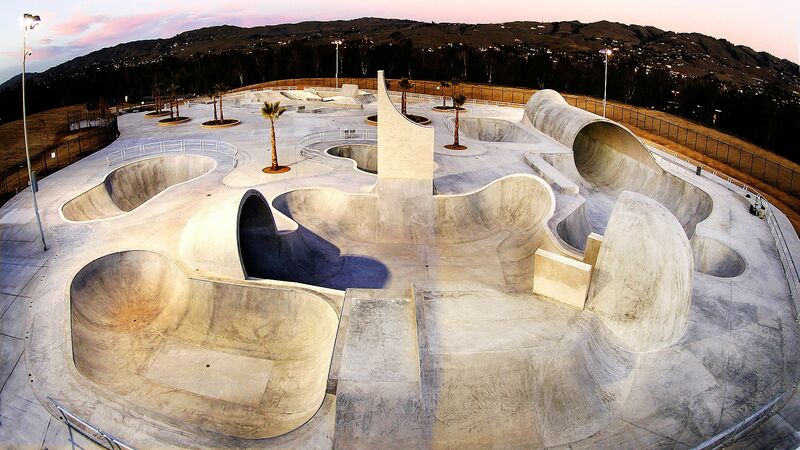 All hail the world’s largest skatepark! Let’s just say China’s motto was: “Go Big or Go Home”, and they decided to go 182 000 square feet big! With iconic graffiti painted bowls, a breathtaking scenery, and a few steps away from the beach, this classical old-school skatepark is most certainly a skater’s heaven on earth! their efforts to build this skatepark near the SOS Children’s Village in Bethlehem. Despite the many setbacks they faced along the way, the project was finally a success! Not to mention the vibrant colours that gave the place much more life! 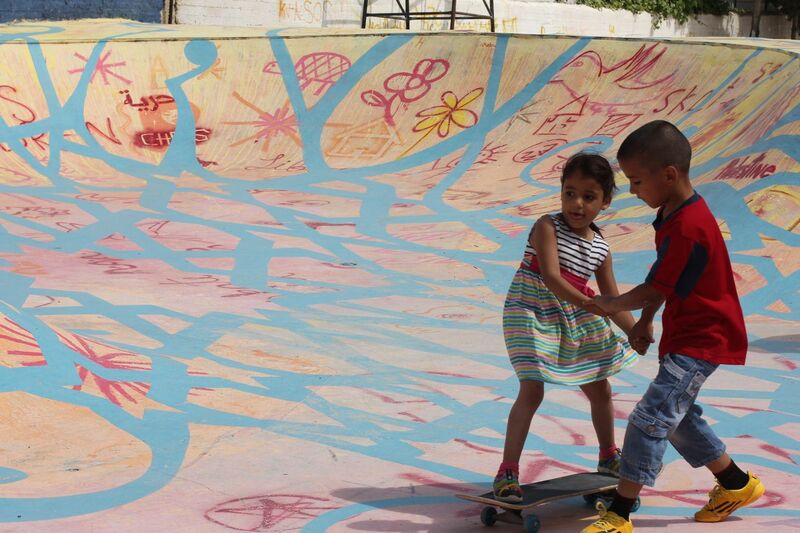 The skateboarding non-profit organization “Make Life Skate Life” chose to build one of their projects in the city of Amman! What makes their skateparks so special, is that they’re by the community, for the community. Located in Jabal el Lweibdeh, 7 Hills added a touch of street, skate and, most importantly, art to this city we love so dearly. 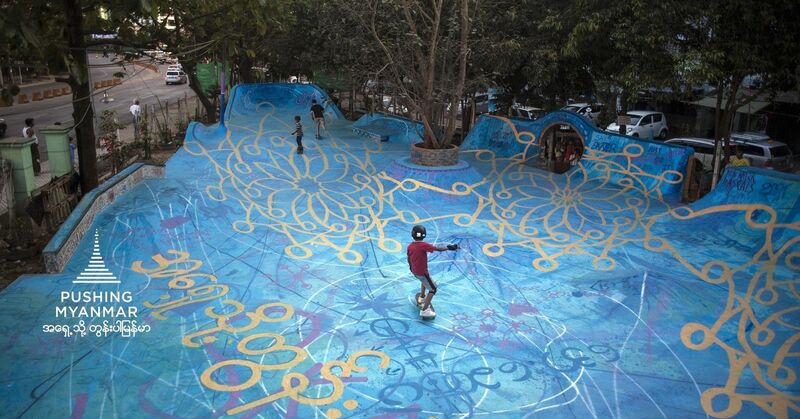 One of the 5 community-built skateparks by “Make Life Skate Life” is Pushing Myanmar in the city of Yangon. Apart from offering skateboarding lessons to the local youth, Pushing Myanmar added a touch of life to the city with its beautifully designed blue concrete floor. In the heart of Everton Park Action Sports HUB in Liverpool, lies a three-dimensional diamond shaped sculpture. 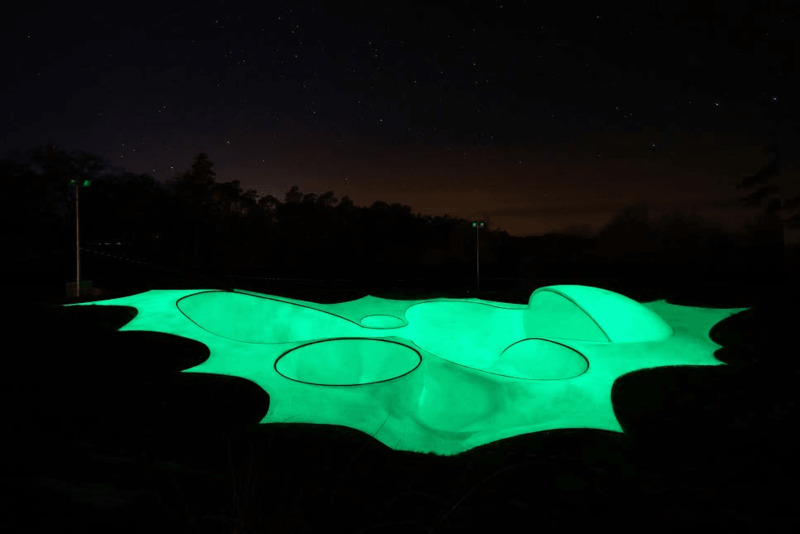 When night falls and stars are out, Evertro promises to take your breath away with its glow-in-the-dark section, that goes in perfect harmony with the park’s surroundings! Underneath a highway overpass in Southern Philadelphia, concrete paradise awaits every skateboarder out there! FDR was built in 1994 after the Philly government banned skateboarding at Love Park, but ever since, local skaters kept working non-stop to make it their home. 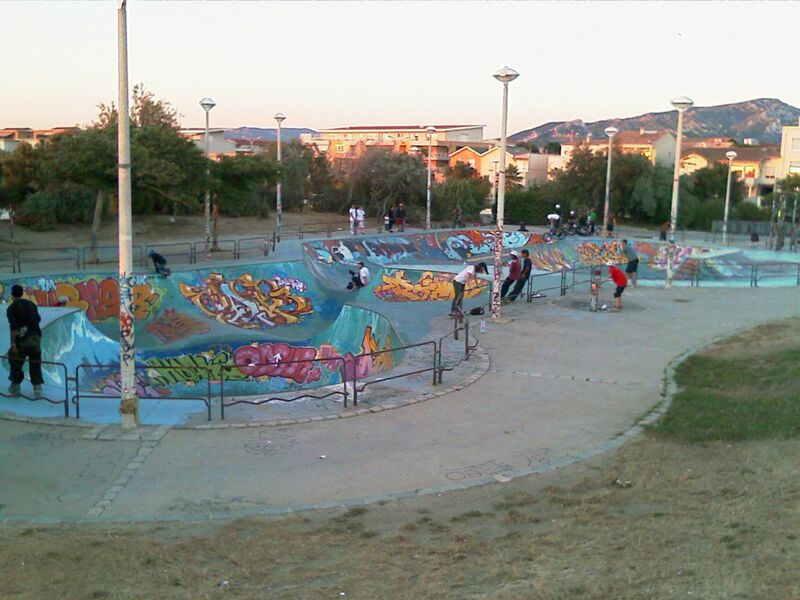 A true skatepark by skaters, for skaters! Whoever said that old is gold wasn’t playing jokes. Jobedu’s pick for 2nd coolest skatepark in the world happens to be the oldest ever built! 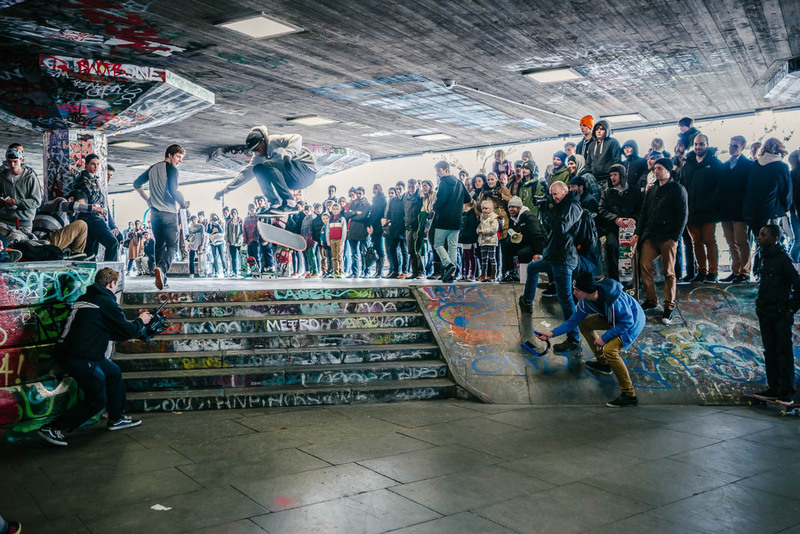 Dating back to the early seventies, Southbank’s undercroft has always been the home of local skateboarders, BMX riders and graffiti artists (who added a unique touch to the place). However, these same skateboarders had to unify their forces and fight the building owners to stop them from transforming it into restaurants and shops. Talk about community engagement! This will definitely leave you in awe! From the outside, there’s nothing special about this church in the town of Llanera in Spain, except that it’s over 100 years old. Step inside, and the fusion of art and skate awaits you! 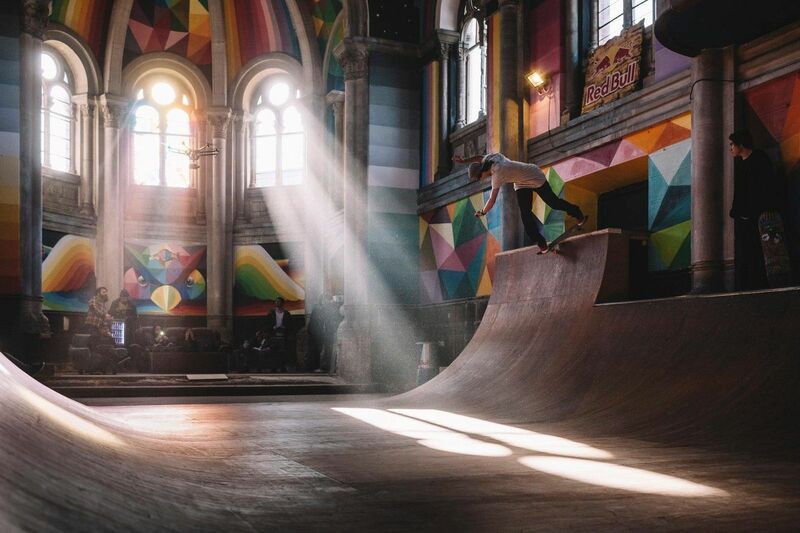 After being left in ruins in the sixties, the Austrian group Church Brigade, with the help of street artist Okuda San Miguel and Redbull, took the initiative to rehabilitate the church into a skatepark. Ladies and gentlemen, here’s Jobedu’s pick for number 1 skatepark in the world!